Twitter continues to bleed cash and its advertising business has begun shrinking, so it’s time for a change. Twitter will pare down three areas of its ad product, according to sources who spoke to TechCrunch. Twitter foreshadowed the shift during last week’s lackluster earnings report that showed a year-over-year decline in Q4 ad revenue, from $641 million in 2015 to $638 million in 2016. Meanwhile it saw little growth in monthly active users (currently 319 million, up 4 percent year-on-year). That added up to a $167 million loss last quarter. Together these facts underscore a critical issue for the company: It has yet to find the right formula for products that attract both users and revenues. But Twitter is trying to course-correct, and its solution is two-fold: it’s redefined itself around a core mission — last week described as “the best and fastest place to see what’s happening in the world and what people are talking about,” and, TechCrunch has learned, it’s looking at ways of paring down its ad business to have more focus, too. Three areas that Twitter is reassessing include the company’s direct response business, aspects of the Promoted Tweets products and the legacy TellApart business. Twitter has not shuttered any of these yet, but from what we understand, it is now concentrating on what is driving more revenues. If there are products that are not getting significant buy-in from advertisers (say hundreds of millions in revenue), Twitter wants to stop supporting them. The problem is this: Just as Twitter the consumer product was confusing to most new (and even some older) users, requiring too much work from people just to use it, Twitter the ad platform had become confusing too. It’s overstuffed with options built up over time that no longer fit into the simplified mission that Twitter sees for itself. Advertisers were finding it too complicated, paralyzing their buying decisions. Plus, several of these ad products don’t feel memorable to users. The typical behavior on Twitter is to skim the timeline, in part because people expect some noise since the app only recently started algorithmically sorting its content. Twitter’s interest graph differs from fully relevancy sorted feeds on networks filled with friends where you might be more inclined to read every post. This all makes it natural to skip over Promoted Tweets and direct response ads that blend into Twitter at a time when mobile advertisers are increasingly looking to momentarily dominate people’s attention with full-screen video ads like on Snapchat and Instagram. Twitter’s user growth slump may have made it hesitant to push more aggressive ad products. Now it’s time to double-down on what works and trim the fat. This will be a significant shift in the company’s strategy, after years of testing lots of different services and ad formats on the platform to see what took off, and thus leaving the question of focus open-ended. Likely to stay are products that can support how Twitter wants to position itself in its latest bid to grow: specifically video and other ad formats that support its more vivid new media efforts. If you look at Twitter’s earnings last week, you could also see some of the writing on the wall. Twitter’s best hope for the future is to combine the first and second screen, becoming both where you watch video of big zeitgeist events and where you discuss them. That content can be monetized with lucrative video ads, but Twitter needs to free up resources to expand their traction. “We’ve . . . had success in some of our direct response products that have achieved significant scale, and we’ll continue to invest in those. [But] in the shareholder letter we talked about some of the direct response products that are challenged. We’re going to reevaluate whether we can be competitive in those products, or if we’re better off reallocating those resources to products that are doing really well or new areas of innovation that are more organic and more unique and differentiated to Twitter and that drive really strong engagement. And so that’s the philosophy. Meanwhile, TellApart was a big acquisition for Twitter — it acquired the adtech startup for $532 million in 2015 — giving the social media platform the infrastructure to better target ads to potential customers. It sat within Twitter’s strategy to build out its direct response business. Yet during earnings, it was only mentioned briefly, and as a business in decline. To note, some of the original TellApart tech — which identified viewers and served them personalized ads — plus more created by the TellApart team, runs across other parts of Twitter’s business that are doing well and will remain. Co-founder Josh McFarland rose to become Twitter’s VP of Product, overseeing a number of ad initiatives. But in another blow to its strategy, he’ll be leaving at the end of the month to join the VC firm Greylock. It’s unclear if that de-emphasis will mean reassigning team members, layoffs, cancelling products or putting them up for sale to another business. Twitter is no stranger to shutting down or selling off things that are not working for it, especially recently. The last few months alone have seen it sell off its app development platform Fabric to Google and announce the closure and then eventual transition of Vine to a pared-down service. On the monetization front, it’s already removed the Buy button and downshifted the whole Commerce operation; and shuttered its lead generation product. While these changes can be painful for employees and users alike, they’re what’s necessary to get Twitter in flying shape again. The company’s core consumer product remains indispensable for legions of journalists and readers, celebrities and fans. 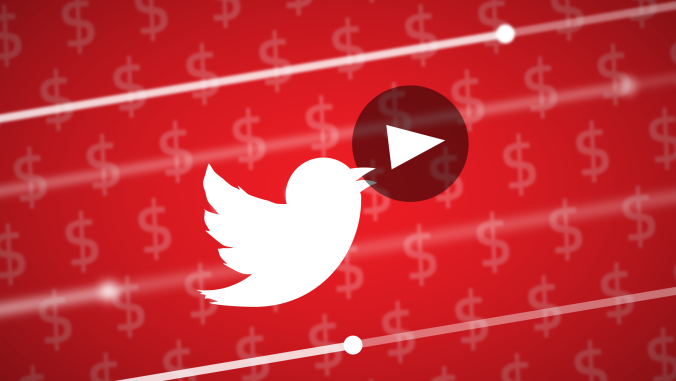 By streamlining its monetization, Twitter will be able prioritize serving ads as memorable as the news it breaks.